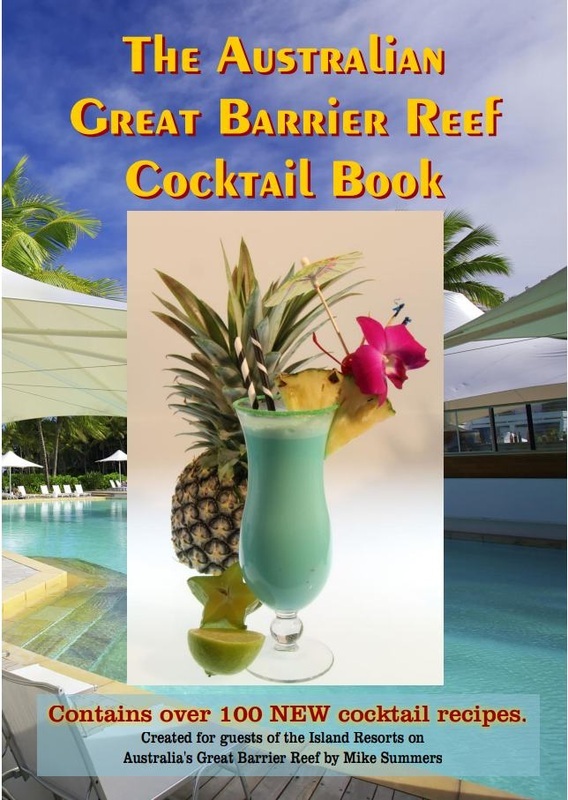 The beauty and tranquillity of Australia's Great Barrier Reef Island Resorts inspired Mike Summers to create the many appetising and award winning cocktails in this book. The subtle blend of ingredients, as delicate as the ecological balance of the Great Barrier Reef itself, was designed to tempt and delight the resort guests. The encouragement of the management and staff of the resorts to create just one more masterpiece is gratefully acknowledged. The recipes for six cocktails, created on some of the most popular islands on The Great Barrier Reef, will be featured on this website over the next 6 weeks. See our competition below for how to win a FREE book. Enjoy sampling them. Want to try more? Buy the book in PDF form or a printed copy with hard or soft cover. for the week, email us on info@ozcocktails.com.au with its name and go in the draw to win a book at the end of the 6 weeks. The cocktail will change each Thursday. You must get all 6 right to win. Check the page tag on the website http://ozcocktails.com.au to see which one is featured this week. Meet Mike Summers .. The "Cocktail King"